The older we get the more stuff we accumulate. Moving into your college dorm might only require filling up the family SUV. But by the time you graduate and head off to your first apartment there could be a lot more stuff to pack up. That will only grow as you add more things to your life. There is nothing wrong with that especially when you can put these ingenious moving hacks to work on your next move. 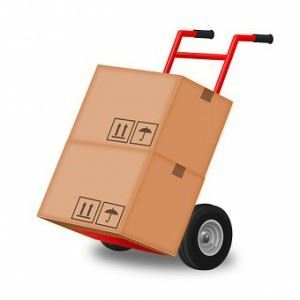 Moving companies will often offer you wardrobe boxes to put your clothing in but that comes in a price. Instead, you can create your own garment bags by pulling trash bags up on a bunch of clothes still hanging. Tie the bag and you’ve got a nice manageable pile of clothing. Might only take four or five bags to pack up you’ll closet. As your movers pull away from dropping off all your stuff at your new place, the last thing you want to do is probably unpack. That’s why you should put together an overnight bag. Not only should this include a change of outfit and everything you need for the bathroom but also important things like sheets, pillows and blankets for the bed. Everything else will reveal itself over the next coming days! If you are moving dressers, then you don’t necessarily have to empty all the drawers. Instead, shrink-wrap the entire dresser in a cocoon of plastic. You’ll find roles of this type of plastic for sale at any moving supply store. It’s a great investment that can be used on any item with a drawer like a nightstand or cabinet. Just make sure you’re not wrapping any breakables because they will get jostled around. The moment you know you’re moving, you should start collecting free boxes. A great place would be any liquor store or bar that you frequent. They should have wine boxes with corrugated partitions. This is great for your glassware. Just slip in and they won’t break and you don’t have to wrap them separately. Since you’ll be emptying your closets and cabinets, you’ll be coming across a lot of things that you probably don’t use any longer. That includes shirts, jeans and even old computers. None of that stuff should be brought with you to your new place. Instead, turn it over to Junk King Salt Lake City. These are the junk removal professionals that can quickly clear way all your unwanted rubbish in a single appointment. Using Junk King Salt Lake City for your next move really is a smart move. This entry was posted in Salt Lake City Junk Removal and tagged clutter, junk King Salt Lake City, moving, rubbish on June 27, 2017 by Junk King. Last updated June 27, 2017 .